Full size USB connector on one end, micro-USB connector on the other. 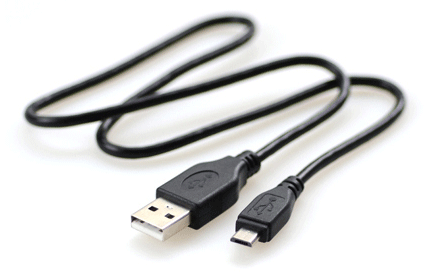 Can be used for any device requiring a micro USB charger. Plug it into your computer, USB wall plug, or car adapter to power and charge your device.